New to Talk Amongst Yourselves? Jump in and say hello! This is the Graveyard Shift—the after (or during) work, 100-Ft tall Mecha hangar. It’s hosted by Kotaku’s reader-run blog, so feel free to kick off your shoes and relax your socks and join the discussion! When you’re done here, check out the space battles articles at TAYor space fortresses of TAYClassic! Or if this is your first time at TAY, check out this TAYtorial! 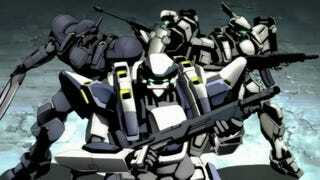 Mecha- What are some of your favorite Mechs from media? Post some names and pics below! Alternatively, if you aren’t a mecha person, what are some of your favorite robots/droids in media? Big- O: Kinda strange with the arms, in comparison to most mechs, but he’s got pilebunkers and his chromebuster attack so hes cool. Plus his start up sequence/ cockpit is unique. God Gundam: One of my favorite Gundams because as a child, I thought G Gundam was cool because instead of gun fights, they beat the crap out of each other for the most part instead. God Gundam’s design is cool and who doesn’t love a good ol’ face exploding Erupting Burning Finger Attack? Patlabors: I saw a bit of one of the movies when I was younger, but I thought the idea of a Police mecha was kinda cool. Thats just a few of my favorites, be sure to share your favorites below!